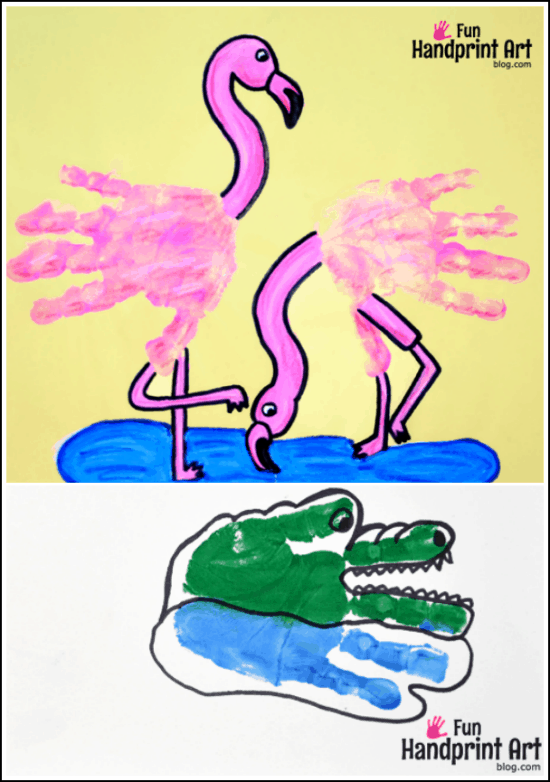 Let’s make handprint flamingoes! I was very happy with the way these turned out. It’s easy to do and can be as detailed or as simple as you’d like. I made these since my son is a still a toddler and I enjoy changing his prints into something creative. A preschooler might enjoy this as a Letter of the Week ‘F’ craft. 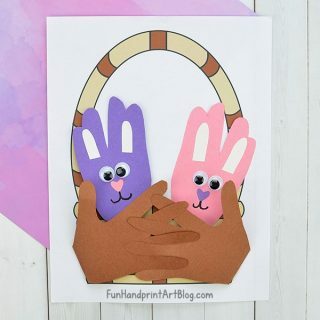 Paint both hands pink and place on the paper towards the middle. We made one sideways print in each direction. After they dry, paint on the long neck, beak, and legs. I looked at clip art on the web for inspiration. If you’d like, paint a tiny blue lake/swamp area. When all the paint was completely dry, I added more detail by highlighting some areas with slightly darker pink and white colored pencils. 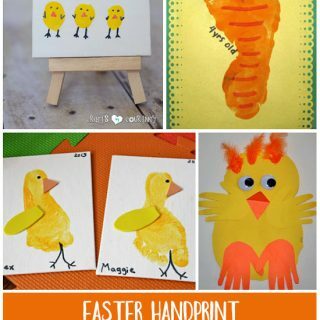 Looking for another handprint animal craft that lives in the swamp? We made a crocodile handprint and read 2 books to go along with it. I wanted to let you know that we have featured your flamingo project!